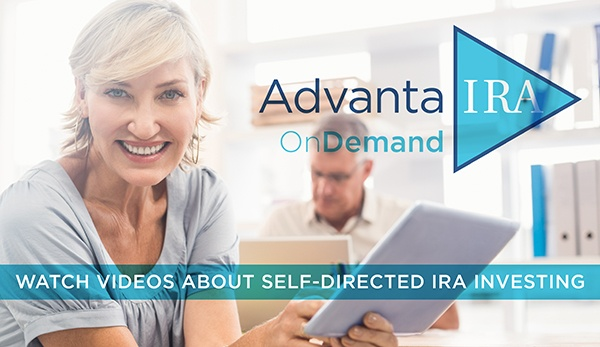 Please use the forms below to open an account, make changes to an existing account, or instruct Advanta IRA to purchase an investment with your self-directed IRA plan. To open a new account, complete the appropriate forms below and submit the signed originals to our office, along with a legible copy of your driver’s license. Depending on the account type, there may be an additional form needed to submit with the application. Please contact our office if you have questions 800-425-0653. Include this form with your General Application to open a SEP IRA. Include this form with your General Application to open a SIMPLE IRA. Use this form to open an education savings account (ESA). A signed Fee Schedule must be included when submitting this application. Use this form to open a health savings account (HSA). Please complete this form and include it with your new application. Use this form to request a direct transfer of funds from your current custodian. Please remember to include a copy of a recent statement. This form must be included to document a direct rollover from an employer’s plan (401k and 403b) or to document a 60-day rollover from another IRA. You must contact your other custodian to initiate the rollover. Use this form to name an individual who may contact us and receive information regarding your account. Please note that this form must be completed to allow a spouse or financial advisor to receive any information regarding your account. This form DOES NOT give the named party the ability to direct any activity within your account. The forms below must be completed and signed by the IRA owner and sent to Advanta IRA via fax or email to initiate the purchase of a new investment. An Advanta IRA representative will contact you if additional documents are required to process the investment purchase. The following forms are used to make changes to an existing Advanta IRA account. These forms must be completed by the account owner and can be faxed or emailed to our office. Use to make a change to the named beneficiaries on your account. Please note that if naming a trust as a beneficiary, you must supply either an excerpt of the trust, or the first and last pages of the trust. Use this form to change your address, phone number, or email address on file with Advanta IRA. When changing your physical or mailing address, please include a copy of a utility bill, cable bill, driver’s license, or a recent bank statement. This form must be completed in order for us to accept funds into your account. Use this form to make a withdrawal from your traditional, Roth, SEP, SIMPLE, HSA or ESA account. Use this form to name an individual who may contact us and receive information regarding your account. Please note that this form must be completed to allow a spouse or financial advisor to receive any information regarding your account. This form DOES NOT give the named party the ability to direct any activity to your account. Use this form to nominate an individual who will have the ability to make investments and decisions regarding your account. This form must be notarized for your signature, and will not give the named individual the ability to direct distributions or transfers out of your account. Use this form to make a withdrawal from your individual 401(k) account. Use this form to instruct Advanta IRA to make a payment out of your account relating to an asset already owned within your account. Please also attach a copy of the invoice or bill relating to the payment to be made. This form cannot be used to direct Advanta to purchase a new investment. This form can be used to transfer funds or assets from your traditional, SEP or SIMPLE IRA into a Roth IRA. If converting an asset, additional paperwork is required to transfer or re-register the asset. Complete this form to begin the process of selling an investment within your account. Additional documentation may be required to complete the sale of the asset.